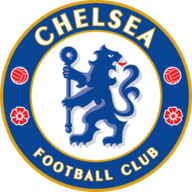 Chelsea kept hold of top spot in the Premier League after coming from behind to beat Tottenham Hotspur 2-1 at Stamford Bridge on Saturday evening, ending the visitors' unbeaten run in the process. Mauricio Pochettino's side opened the scoring after only 11 minutes thanks to Christian Eriksen's brilliant long-ranger - the first goal Chelsea had conceded in over 10 hours - only for Pedro to level just before half-time with his own sensational strike. The home team claimed all three points when Victor Moses - making his seventh consecutive league start - slotted home after 51 minutes as they made it seven league wins in a row, their best run for six years. As a result, Chelsea remain a point clear of second-placed Liverpool and third-in-the-table Manchester City, who both also won earlier in the day, while Spurs stay fifth and are now seven points behind their London rivals. As expected, Blues boss Antonio Conte named an unchanged starting line-up for the sixth successive top-flight match, although captain John Terry was ruled out with a muscular injury. 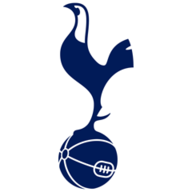 Tottenham were without full-backs Danny Rose and Ben Davies through suspension and injury respectively - with Kevin Wimmer surprisingly filling in for the former at left back - while both Erik Lamela and Toby Alderweireld missed out with injury. However, it was the visitors who made the more accomplished start to the contest, dominating both possession and territory in the opening exchanges, culminating in Eriksen's wonderful opener. Referee Michael Oliver deserves praise for his part in the goal, with the official playing an excellent advantage in the immediate lead-up to the Dane's strike after a foul on Son Heung-min. The ball broke kindly to Eriksen towards the left-hand edge of the area, with the playmaker then beating Thibaut Courtois with a well-struck left-footed effort for his first goal of the season after his 39th attempt of the campaign. And if anything in the first period, it looked as though it was Chelsea, rather than Spurs, who had had a tough Champions League exertion on the road in midweek. However, the Blues gradually worked their way into proceedings and drew level in the final minute of the half through a sublime strike from Pedro, who picked the ball up on the edge of the area and after an exquisite Cruyff turn, the winger beat Hugo Lloris with an inch-perfect curler into the top right-hand corner of the net. That goal could not have come at a better time for Conte's side, who marched off at the break in high spirits, and they maintained that spring in their step in the second half as Spurs wilted. In fact, it took Chelsea only six minutes of the second half to go in front for the first time, with Diego Costa playing an integral role as the muscular Brazil-born striker broke clear to the left-hand byline, before pulling the ball back for the unmarked Moses to score, despite Jan Vertonghen's presence on the line. Thereafter, Chelsea controlled the temp of the match as Tottenham's trip to the South of France on Tuesday appeared to finally catch up with them, with Marcos Alonso missing a great chance to kill off their rivals after side-footing over from close range minutes after Moses's strike. That miss, though, was not to prove costly as Chelsea easily held on to their lead in the final quarter of the game as the visitors' 26-year wait for a league win at the Bridge continues.